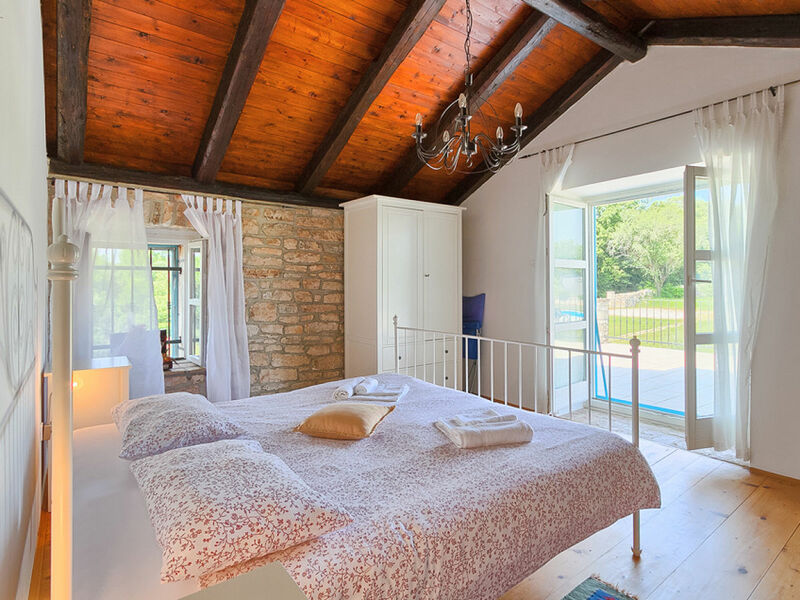 This beautiful restored old stone house has two bedrooms for the total capacity of 6 persons (4 adults and 2 children). 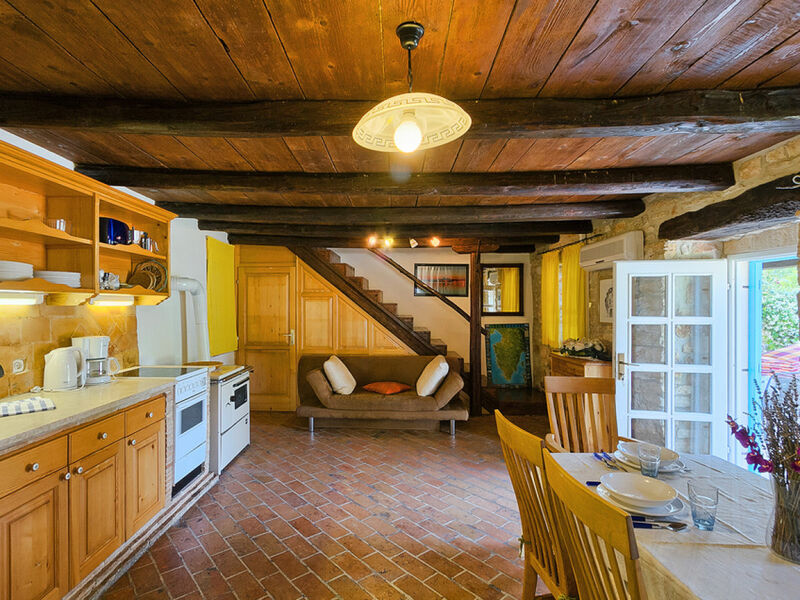 It has been beautifully restored and has a lot of character. 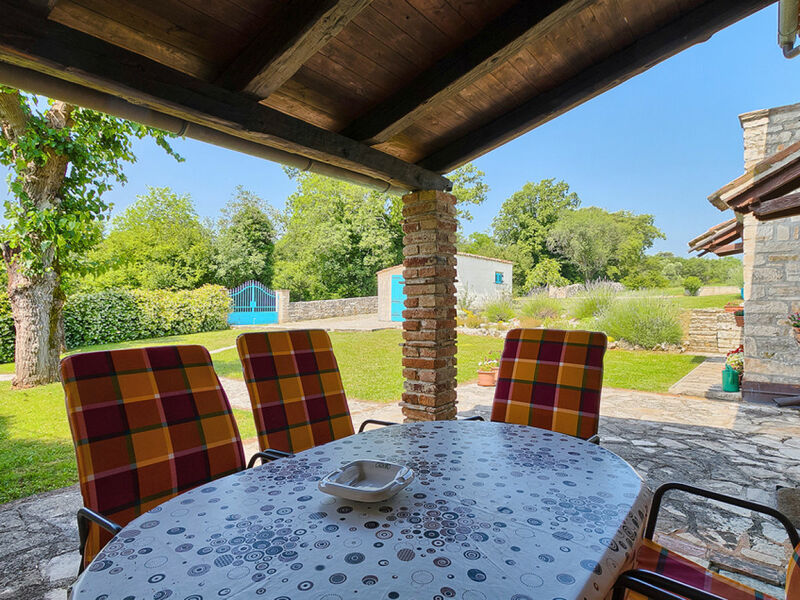 The location is absolutely peaceful and relaxing so you will hear only birds singing. 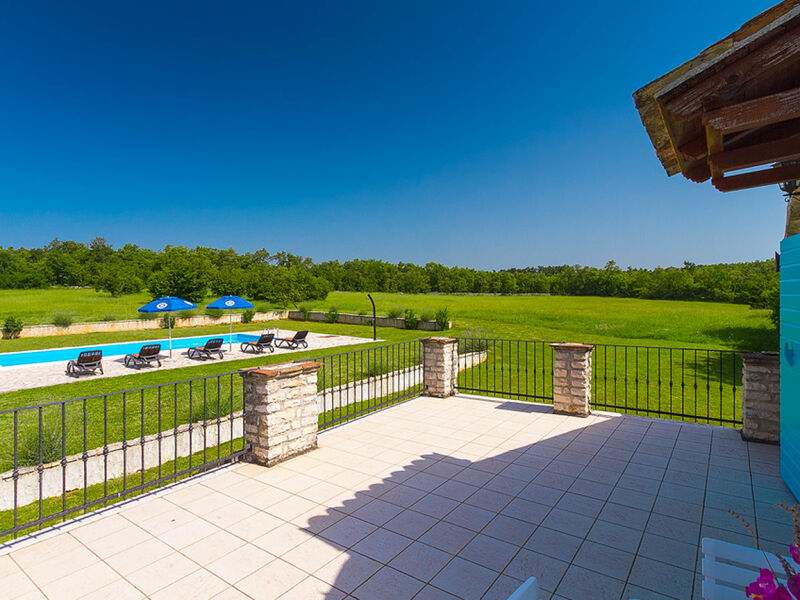 It is set on a super large plot of land with meadows and woods all around. 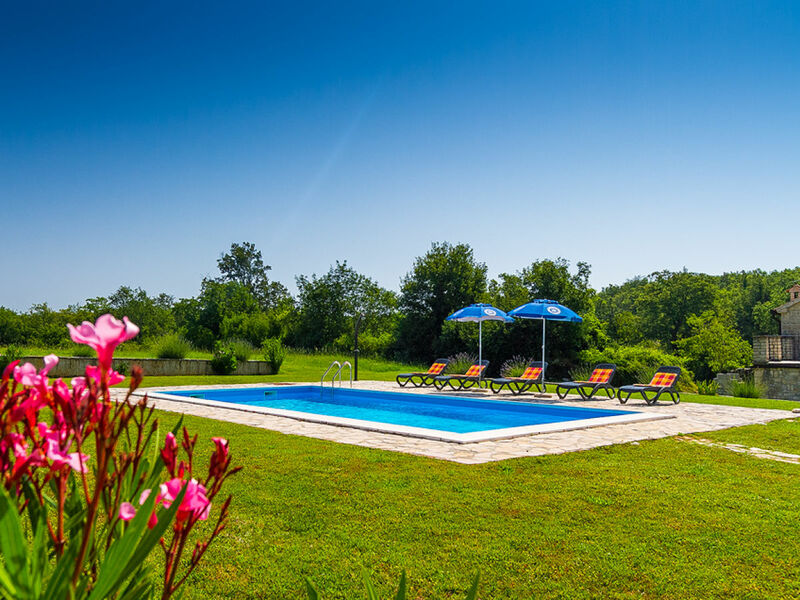 The pool is one of the biggest there is for a 2 bedroom villa and it has 50 m2. 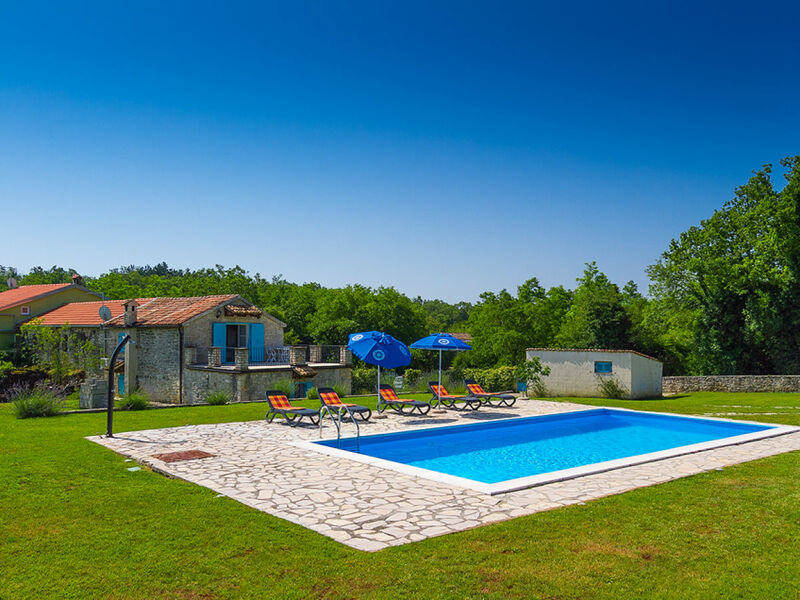 The closest coastal town is Porec - a 20 min drive. 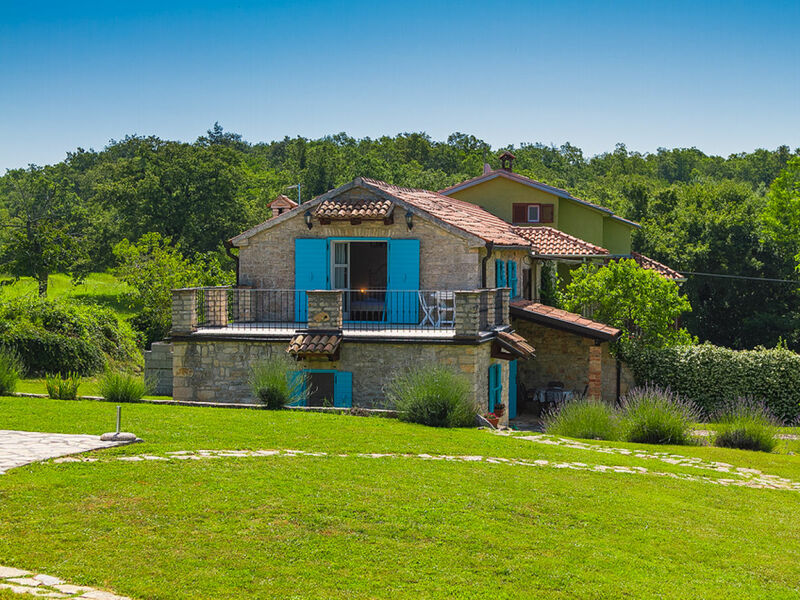 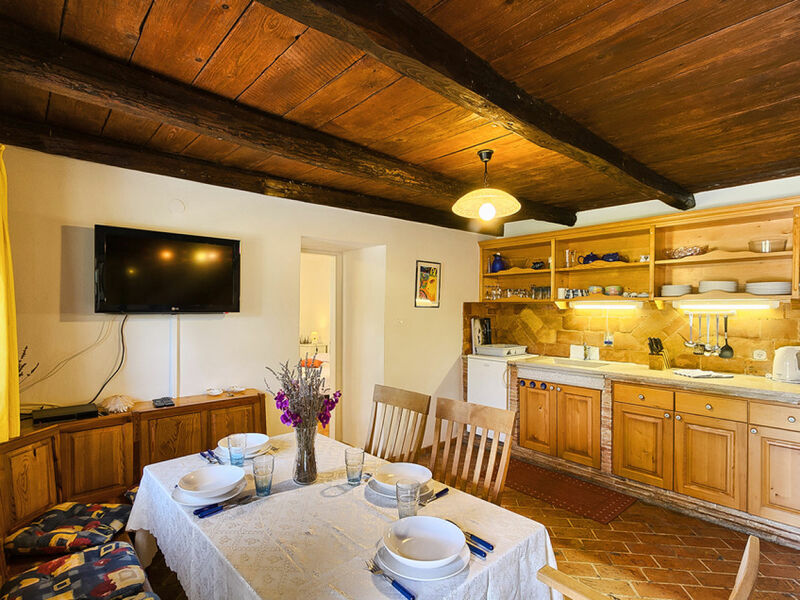 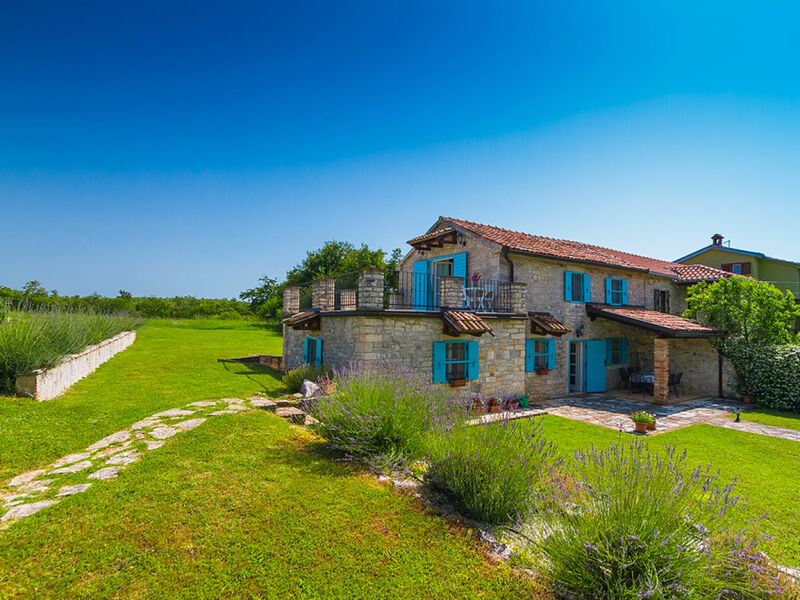 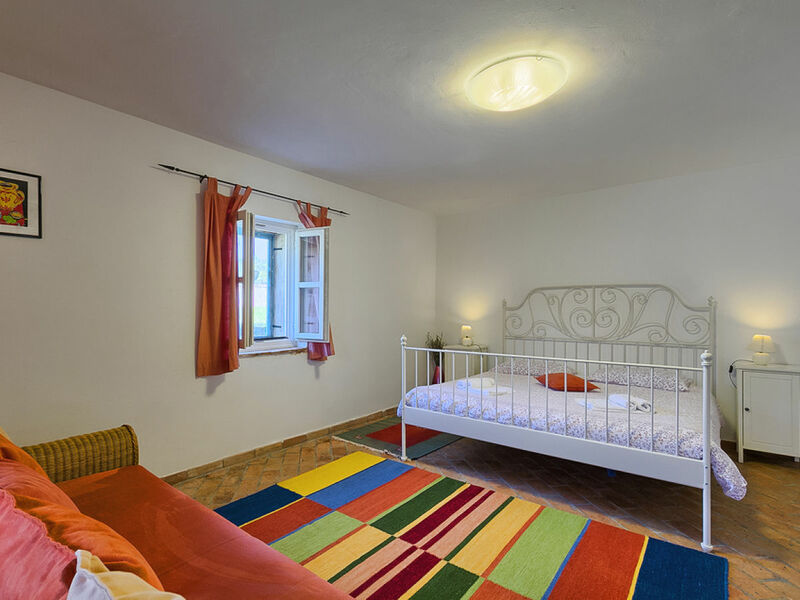 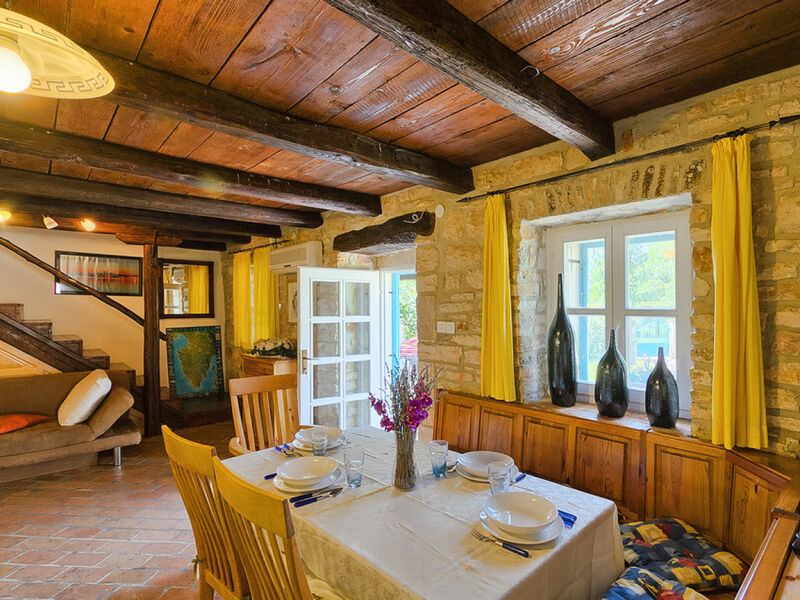 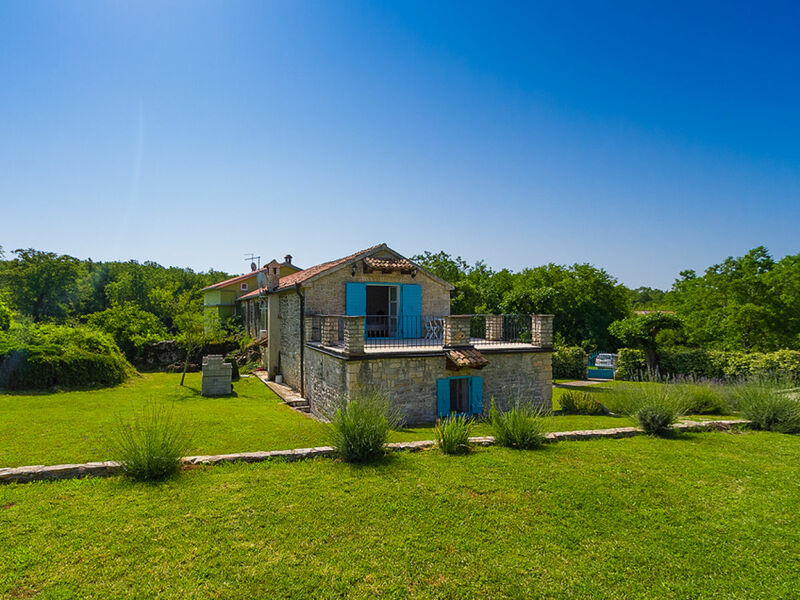 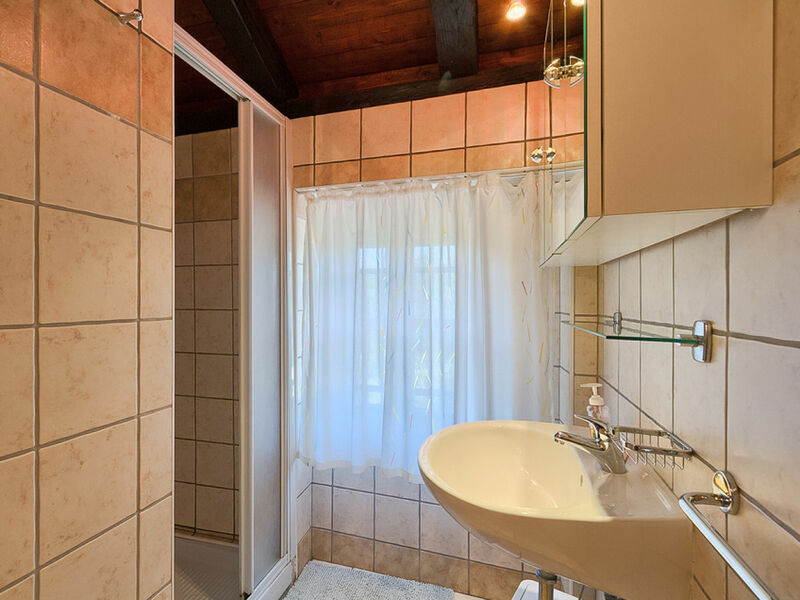 This stone house is located outside a small Istrian village, it is perfectly quiet and relaxing, yet the busy tourist centre of Porec and the beaches are just a short drive away. 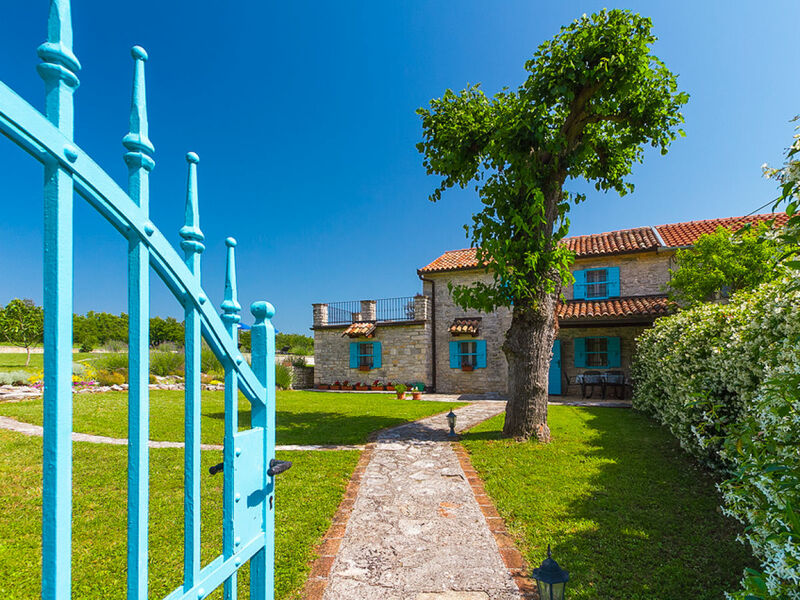 Rovinj and Pula and other highlights are just a short drive away.